Connecticut DMV offices are listed under the State of Connecticut Department of Motor Vehicles. The webpage is maintained by the department itself. A number of online services are offered on the website along with details about the offices. From contact information to office location, everything is listed in detail to assist the public and provide them with better services. Connecticut DMV Offices mainly provide services related to the issuance of driver’s licenses, renewal of driver’s licenses, payment of tickets, voter’s registration, issuance of special license plates, renewing registration and replacing old license plates. The transactions can be made online as well. For payments of tickets and International Registration Plan payments, the website provides complete details and guidance. A new feature of payment of late fee has also been introduced. Forms for various requests and legal formalities are available online. These forms include a driver’s license form, title and registration form, application form for vessel registration and a certificate of number decal. The forms can be downloaded and filled out online and require to be brought in person for further processing. 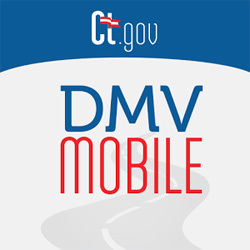 While the location of Connecticut DMV offices can be found online, the visiting hours and waiting times are also updated on the website. To provide further ease to the public and users, the features available on the website have also been launched in the form of on Android App for smart phones. In order to visit a DMV office, you will need to make an appointment and check the services available there as the working hours and offered services vary from office to office. The online provision of all these features has made it quite easy for the users to keep up to date and request for the required legal papers for their motor vehicles. The layout of the website is also very simple and easy to use.